Today the board of directors of SFWA unanimously voted to add Tor.com to the list of SFWA qualifying markets. 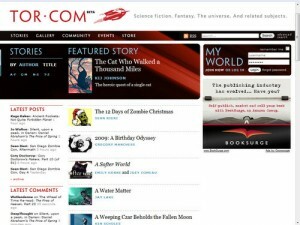 Just celebrating its first year online, this extension of Tor Books features science-fiction and fantasy fiction as well as art, non-fiction, essays, and book reviews. 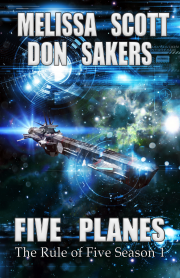 They have published SFWA authors such as Ken Scholes, Steven Gould , and Kij Johnson. Congratulations to the entire editorial staff at Tor.com and their writers! UPDATE, 10 May 2010: Tor.com now has actual submission guidelines, posted here. Now if only they weren’t invite-only. Kaolin Fire: have you considered politely introducing yourself to one of the editors? I think you’ll discover it’s invite-only because they’re not set up to manage a slushpile, and if you’re an SFWA member and/or a Tor author they’ll talk to you. Just as a data-point, I queried and submitted to them before selling them a novel. UPDATE, 10 May 2010: Comment deleted at Patrick Nielsen Hayden’s request. Up-to-date Tor.com submission guidelines are here. Sara Stamey’s SF novels with Berkley/Ace made the Locus Best New Novels list. Her journeys include treasure hunting and teaching scuba in the Caribbean; backpacking Greece and New Zealand; operating a nuclear reactor; owning a farm in Southern Chile.